Spirituality is a connectedness of one to self and to others. It is a catalyst to finding your place in this world. Spirituality is your life, who you are, what you are and what is your meaning and purpose, even your direction in this world. Spirituality deals with the issue of inner beliefs and feelings and can be closely associated with religion and or philosophy. In many different forms it sheds light on the human experience of what is reality. It is connecting the physical to its source which is the soul and therefore connecting the soul spirit to God. It is endless possibilities, the challenge to reach beyond limits; it is a journey, an awakening. Spirituality is keeping an open mind, questioning current beliefs, it is embracing one’s self and therefore being non judgmental but rather allowing the human to experience life as it was meant to be. Spirituality allows you to view the world void of religious baggages because you are not tied to a particular institution even if you are apart of said institution your mind is objective , rather you have become an explorer of life and nature and all therein. It removes the ego and desire which seeks to destroy human beings. It guides you to the right and proper place. Embracing your Spirituality releases you from the madness of this world, from the stress, from the lies that are told throughout mankind that have shaped our lives. 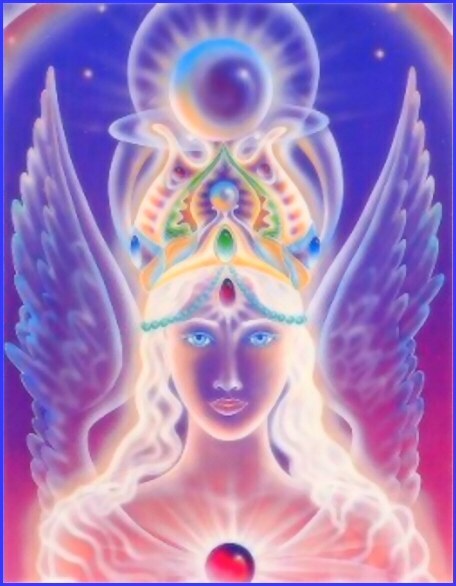 Embracing your spirituality gives you the freedom to connect with your spiritual family who are your guardian angels and your guides. It allows you to love with purity, everyone, regardless of race, color or creed when religion does not. When dying on the cross the martyred man of sorrow forgave his enemies. His last words were a prayer on their behalf. He taught his disciples to curse not, but to bless even their foes. But the heirs of Saint Peter, the self constituted representatives on earth of that same meek Jesus unhesitatingly cursed whoever resist their despotic will (as written by H.P. Blavatsky in her revealing book ‘Isis Unveiled’). To Embrace your Spirituality sets you free from the oppression of religion whose creation was to divide people, socially, economically and politically. To quote again Madame Blavatsky ‘their charity and simple, child-like state in the infallibility of their bible, their dogmas and their clergy bring into full activity all the virtues that are implanted in our common nature. We have personally known such God-fearing priests and clergymen, and we have always avoided debates with them, lest we might be guilty of the cruelty of hurting their feelings; nor would we rob a single layman of his blind confidence if it alone made possible for him, holy living and serene dying. We cast our gauntlet at the dogmatic theologian who would enslave both history and science; and especially at the Vatican, whose despotic pretentions have become hateful to the greater portion of enlightened christendom’. I included this quotation by Blavatsky to show the mind of a free thinker, someone who has embraced themselves and their spirituality; therefore seeing and revealing the truth of enslavement behind doctrine. He who digs a pit for others must invariably fall into it……Yoruba Proverb. Honestly….I have nothing to say here. I’m at a lost words. Beautiful. Love the pic as well.